Jeff Bezos, Congrats on your big one-click purchase of the Washington Post . I wonder what it's like to have founded Amazon. Do you, like the rest of us, buy not just books, but everything from Amazon? Mung beans? Crossbows? Crayons in bulk? Sanjay Gupta, you've changed your mind about medical marijuana and are now totally in support. You observed how the drug is, at times, the only treatment that helps seriously ill patients. Here is Aunt Sandy's Medical Marijuana Cookbook so you and your patients can bond over a lemon bar and a good case of the giggles. Alec Baldwin, congrats on getting your own talk show. But, though you may have once pronounced, "I am God" (in the movie Malice), you may want to learn some Humility before you start advising commonfolk. 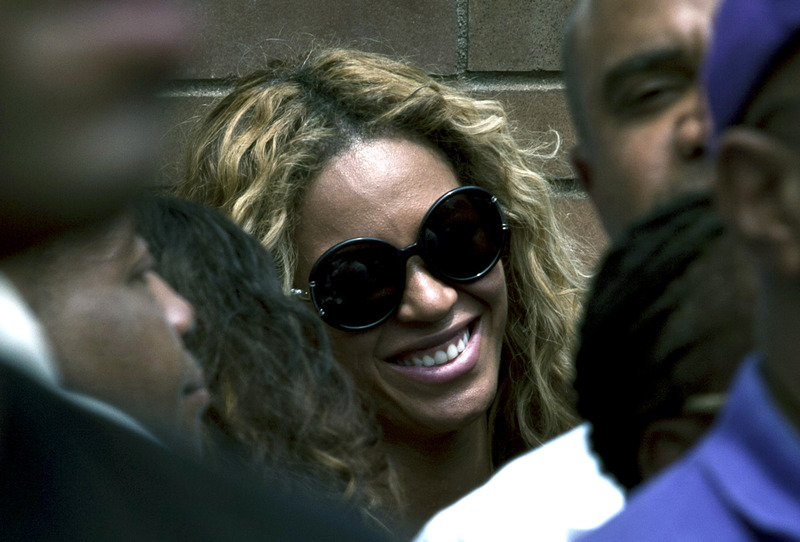 Queen Beyoncé, your new 'do is shapely and sleek. Like Michelle Obama's bangs, your haircut is not really newsworthy, but it's still something to talk about at the copy machine/deli/hospital bedside. And because all hair decisions must be related to life crises, I can't help but worry you are pregnant with a demon child à la Rosemary's Baby ! Are you craving raw meat??? Don't drink the neighbors' smoothie! What a week. Bon weekend, friends.